Have you ever banged your knee against a table and later noticed a small, purplish or bluish mark on your skin? Well, if you’re a human being, then we’re guessing this or a similar scenario has happened to you. In fact, if you take it a step further and push on the purplish spot, it’s probably going to hurt. That pain you feel is caused by a hematoma. A hematoma is more or less a bruise occurring when blood vessels are broken. Your blood takes this opportunity to escape the vessel and form pools where it’s not supposed to, such as under your skin. That’s what causes the purplish, bluish color. While a bruise caused by a hematoma just under your skin is no cause for alarm and will likely heal on its own, not all hematomas are so innocent. There are several different types of hematomas that can occur. Any type of blood vessel can break and cause a hematoma. These include your veins, arteries, or capillaries. Hematomas are generally named for the location within your body where they occur. For example, a spinal epidural hematoma occurs on your spine, while a splenic hematoma occurs on your spleen. You get the picture. A hematoma can range from a simple bruise on your knee to a subdural hematoma, which occurs on your brain and requires immediate medical attention. Because the location and severity of hematomas can vary so much, it may be hard to know what information you should take away from learning about this type of medical condition. First of all, it’s important to know potential symptoms for various types of hematomas. Expect symptoms to be closely associated with the location of the blood vessel break. For example, a subdural (or brain) hematoma may cause a headache, trouble speaking or walking, general confusion, or even seizures. Pain, weakness, and general loss of control in the specific area of your body that’s affected are the common symptoms to acknowledge. Surgery or other procedure that may damage blood vessels. Taking blood thinners or some other types of drugs (check labels for side effects). Taking some supplements, such as garlic, gingko biloba, or vitamin E.
If you experience symptoms that are uncomfortable or severe, it’s a good idea to seek medical attention, even if you don’t have any risk factors. A medical professional can usually diagnose a hematoma through an exam, a blood test, or other type of medical test may be needed. A medical professional at a local FastMed Urgent Care clinic can help you with a treatment plan for minor injuries that are causing you discomfort that may have resulted in a hematoma. Other types of hematomas may require you to see a medical specialist. In that case, we can arrange for you to see a specialist and forward all your digital medical records and test results. 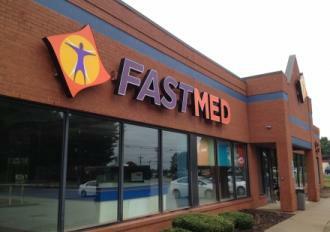 To find out more about FastMed and our medical services, visit our FAQs page.